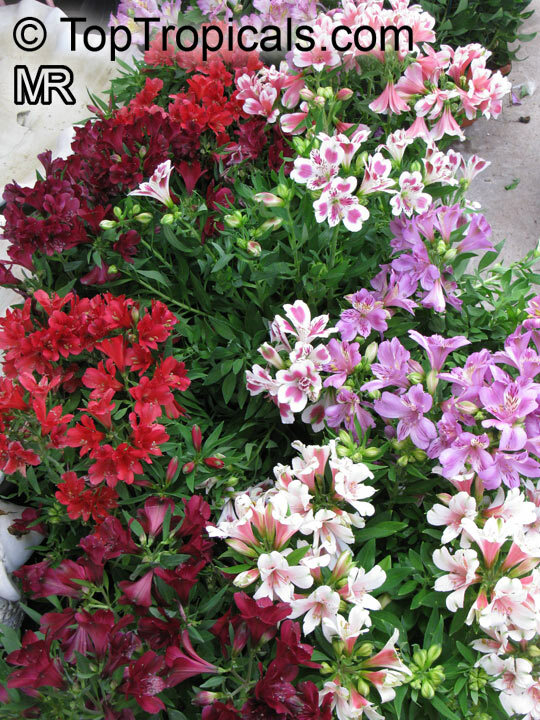 Many hybrids and about 190 cultivars have been developed, with different markings and colors, ranging from white, golden yellow, orange, to apricot, pink, red, purple and lavender. 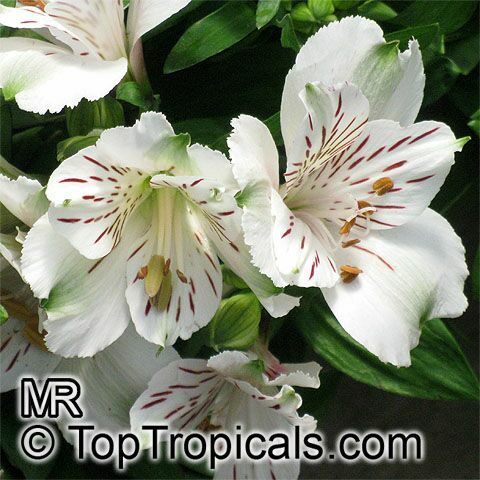 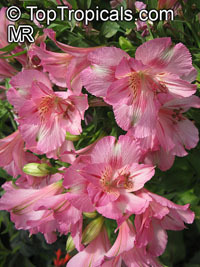 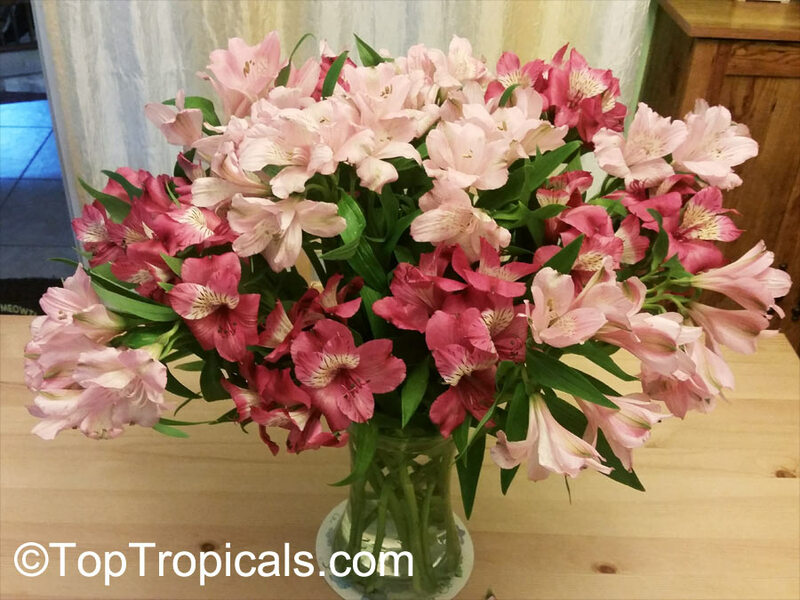 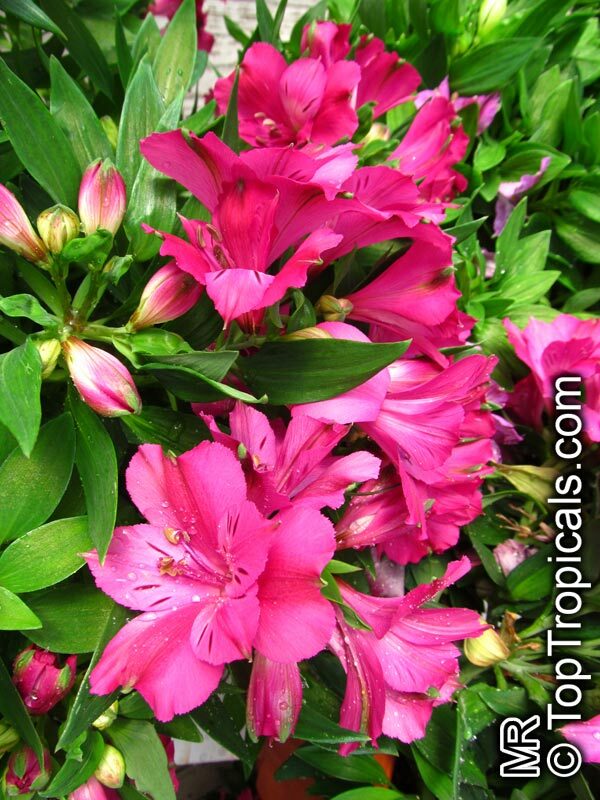 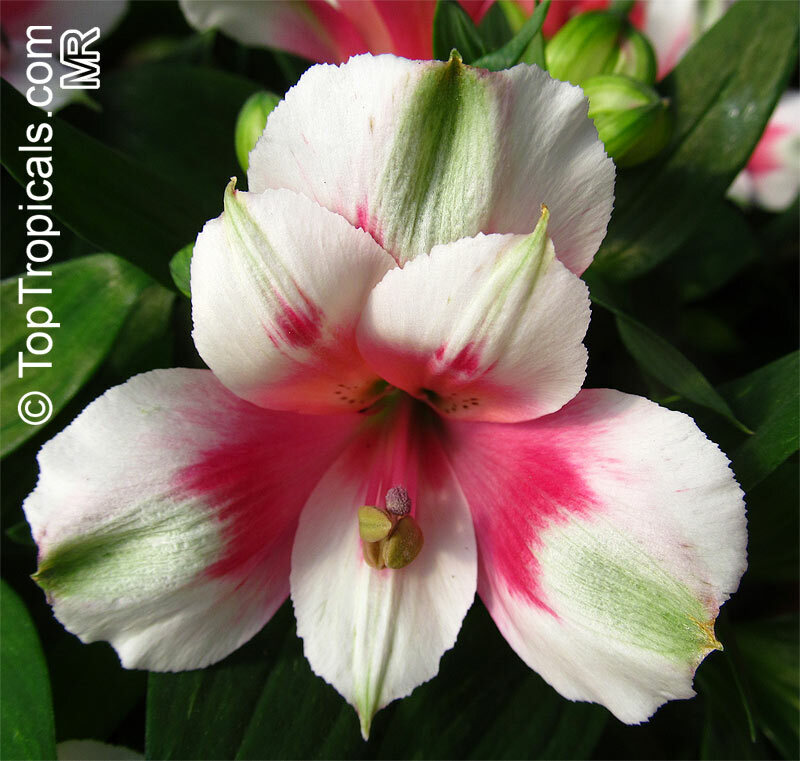 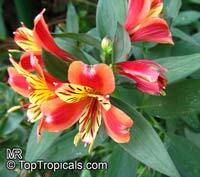 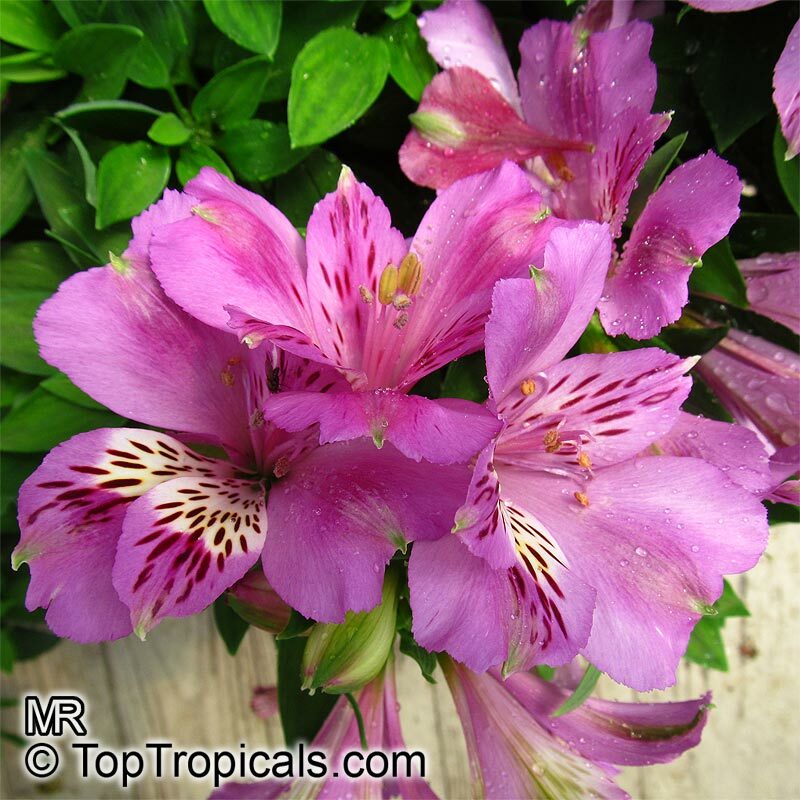 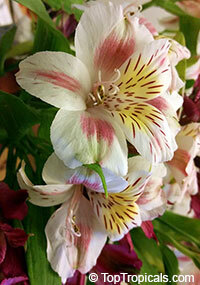 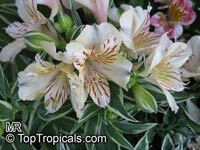 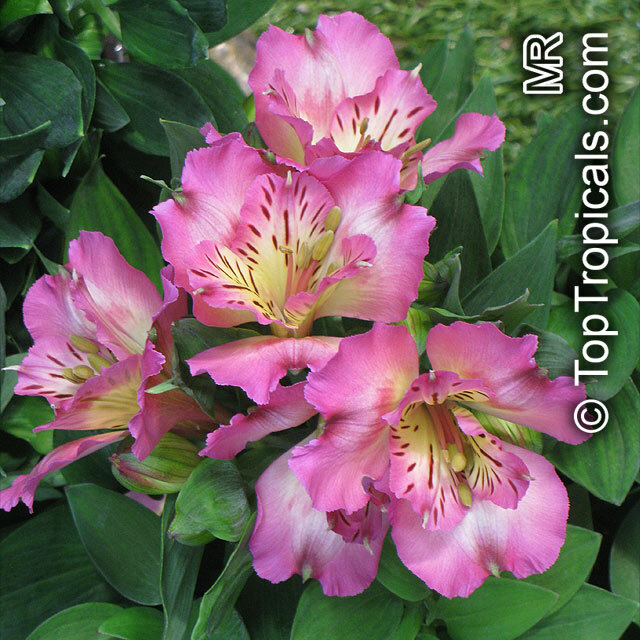 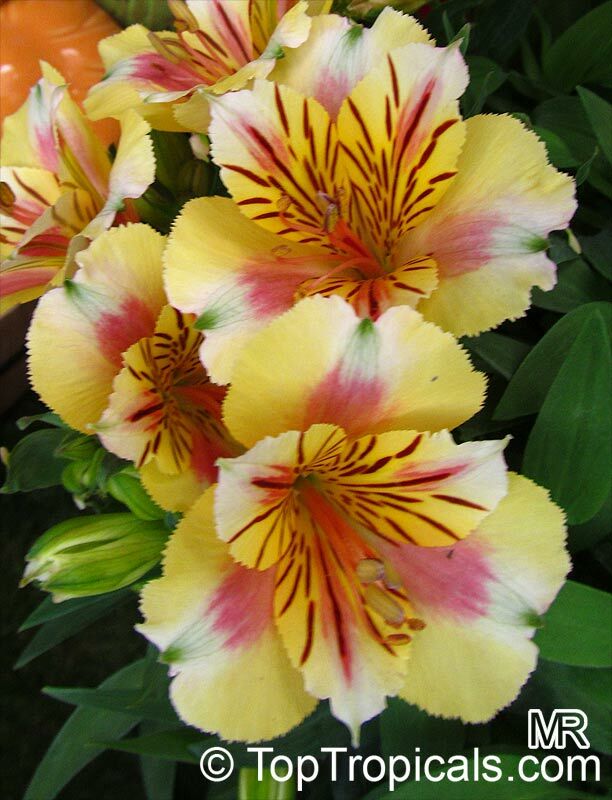 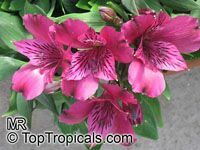 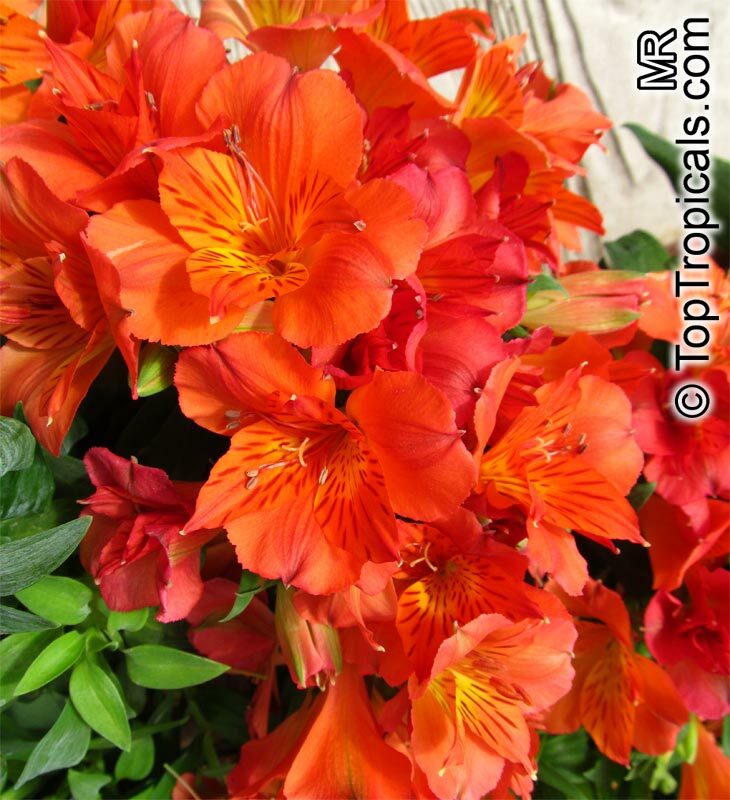 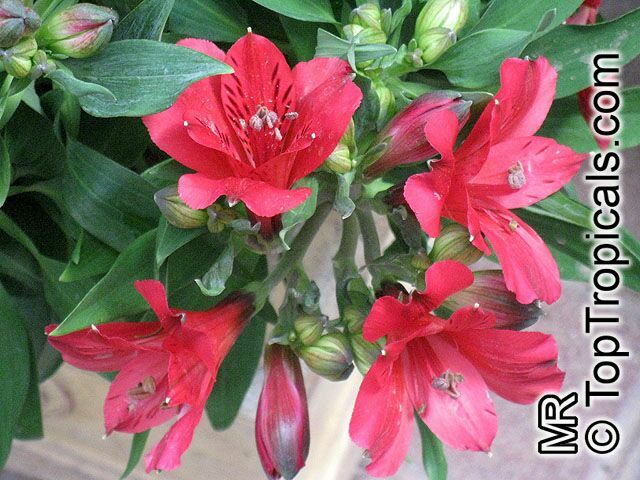 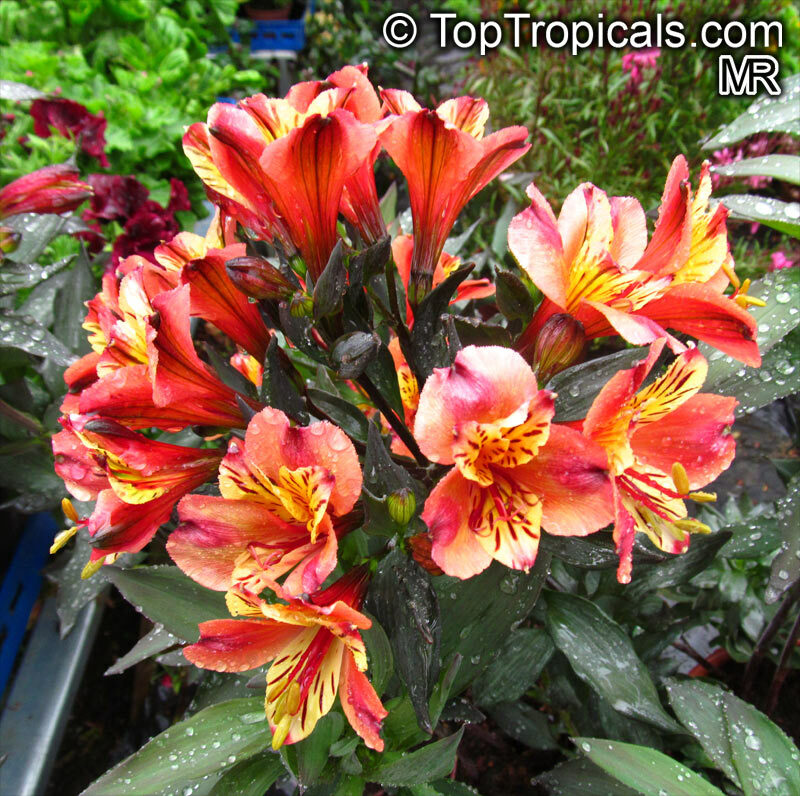 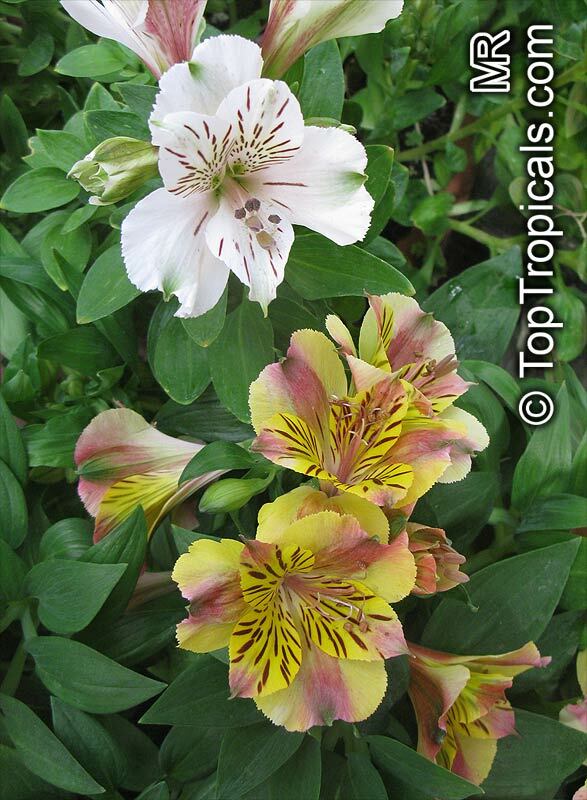 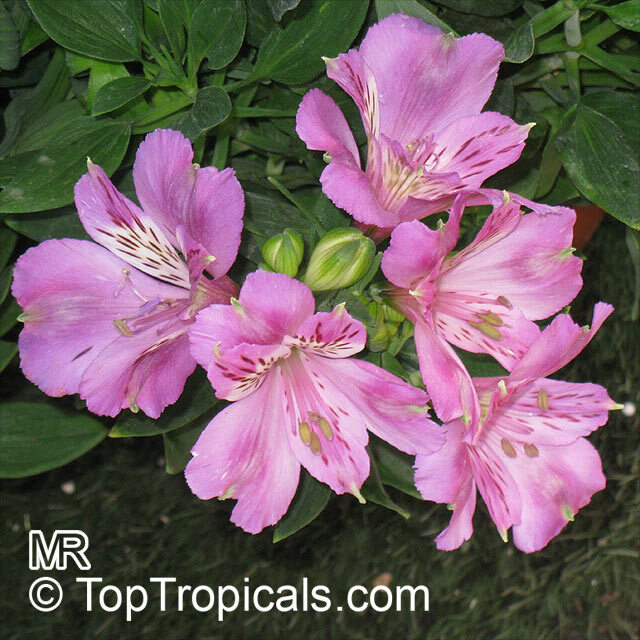 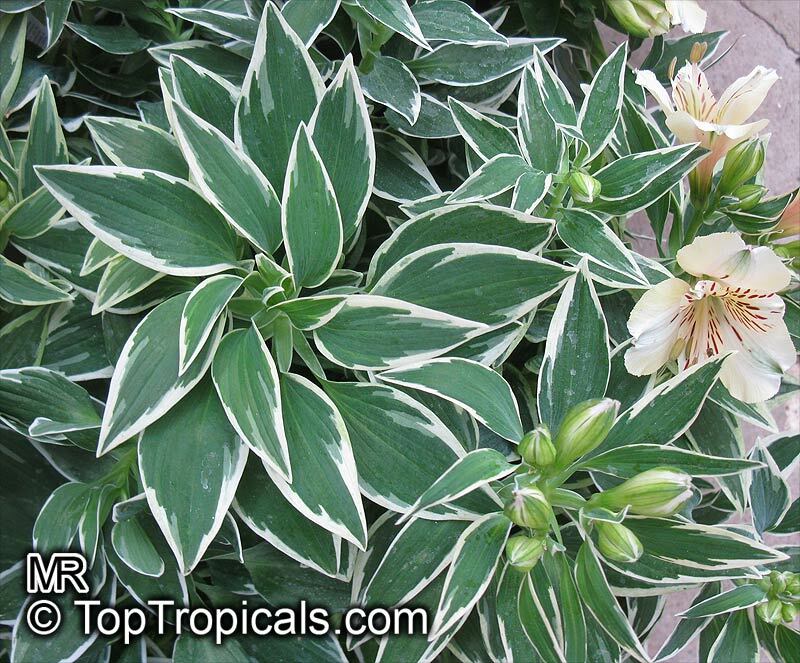 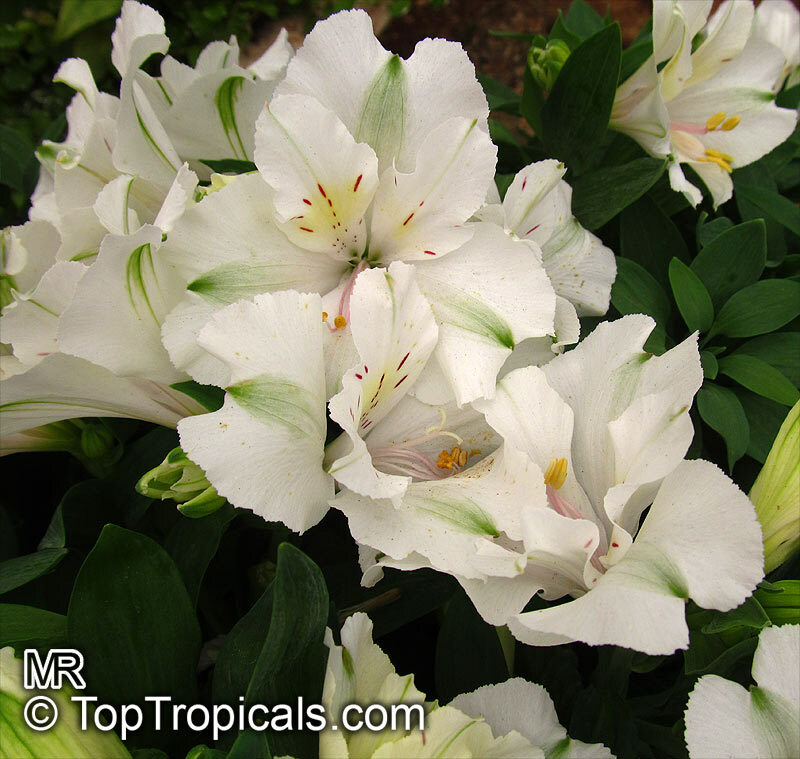 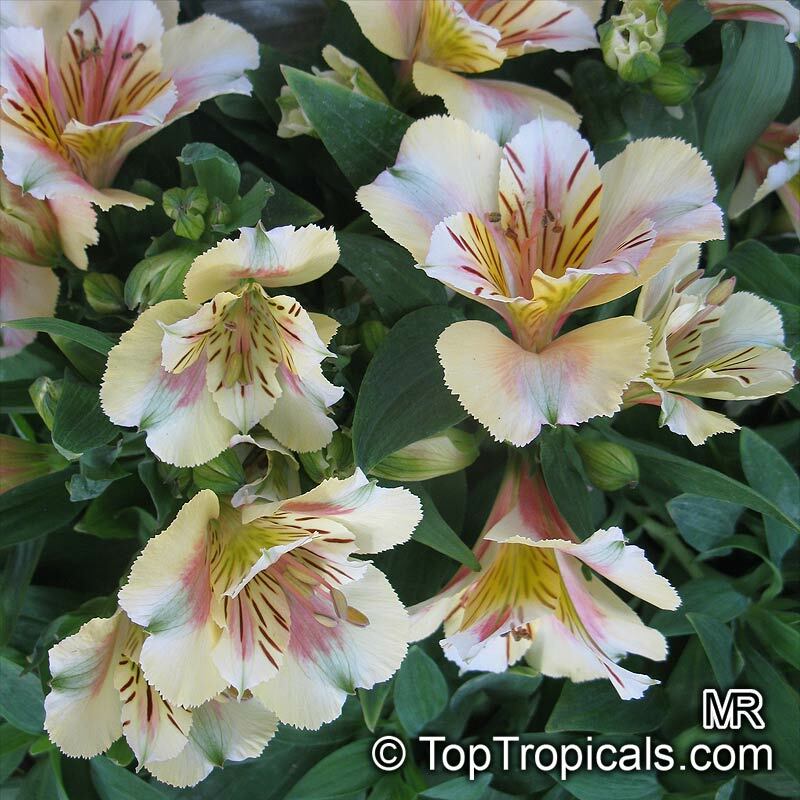 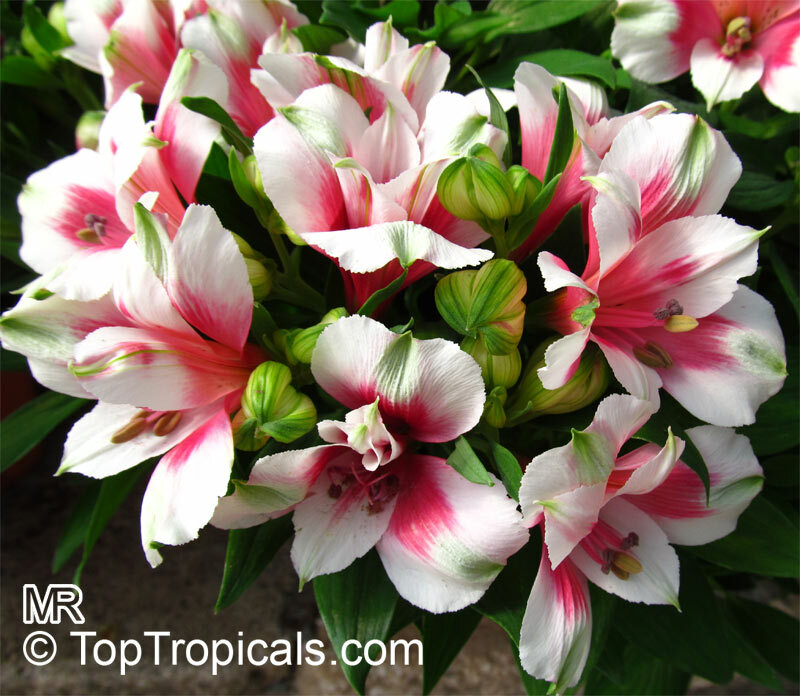 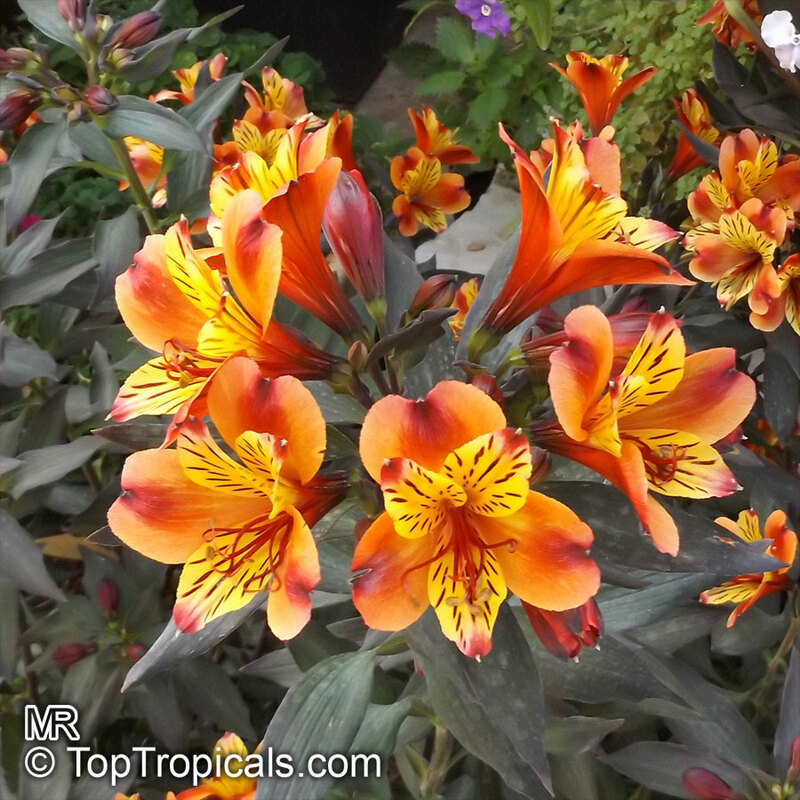 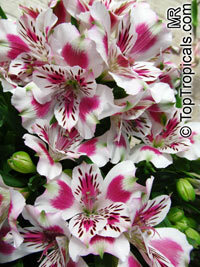 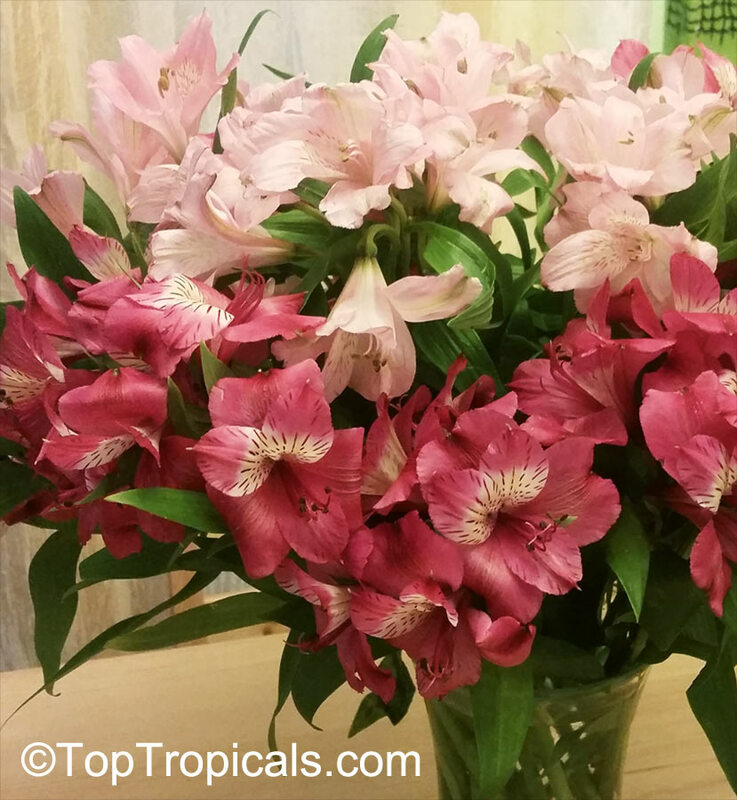 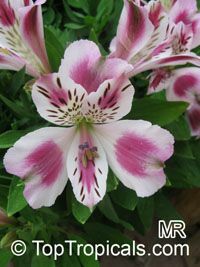 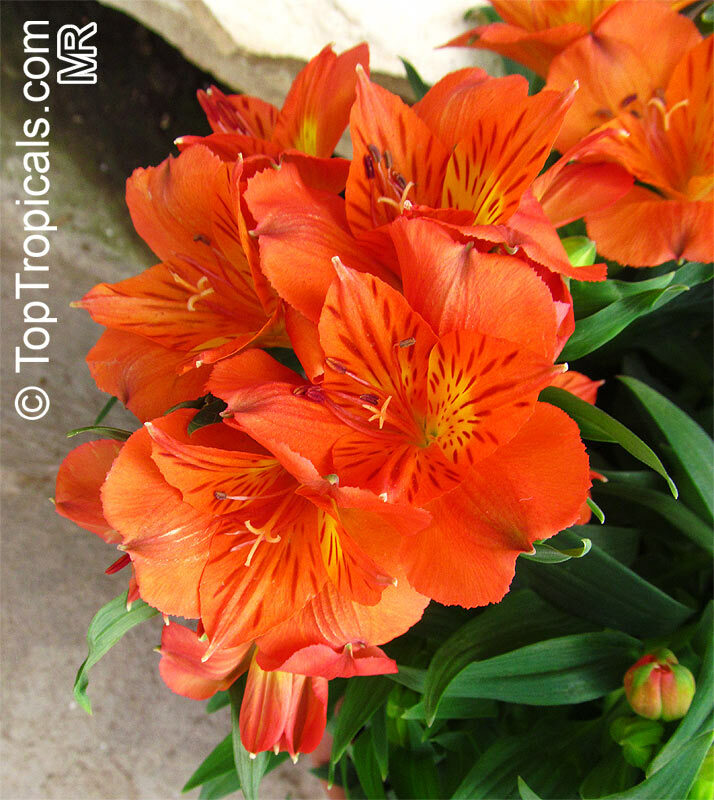 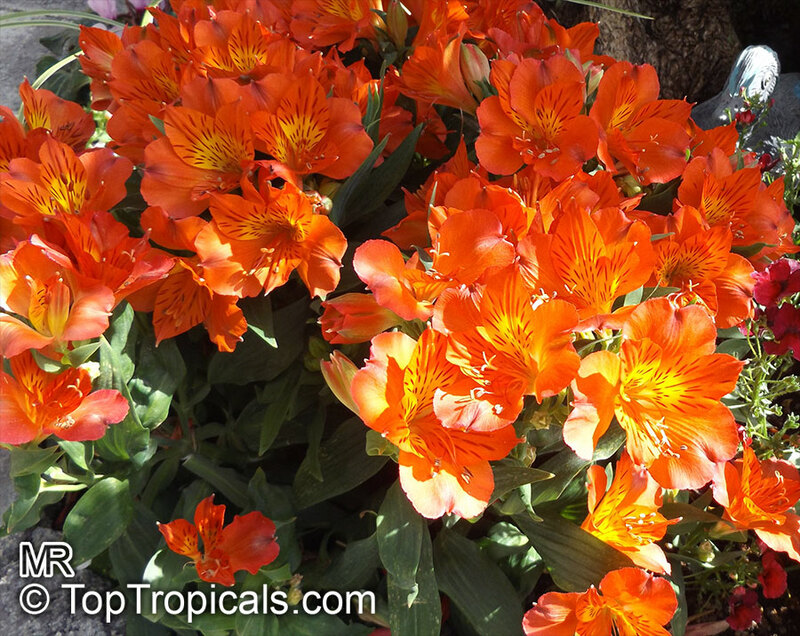 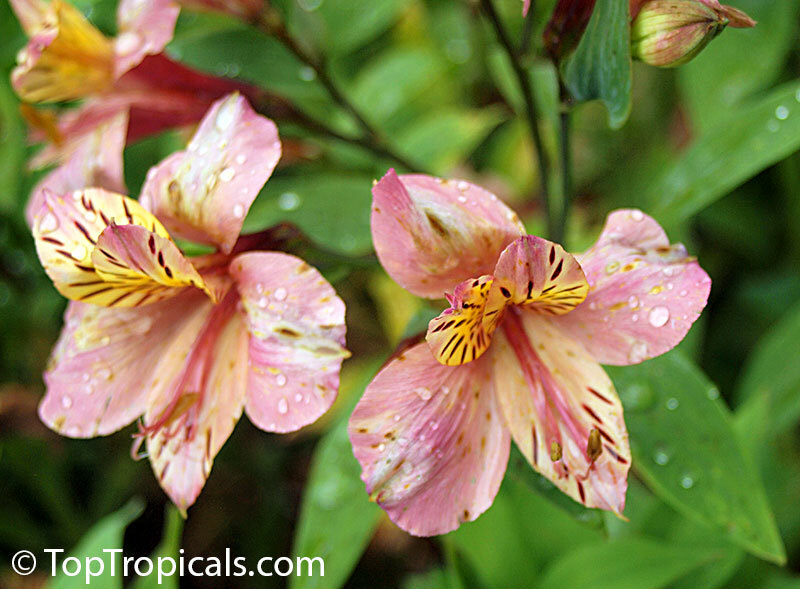 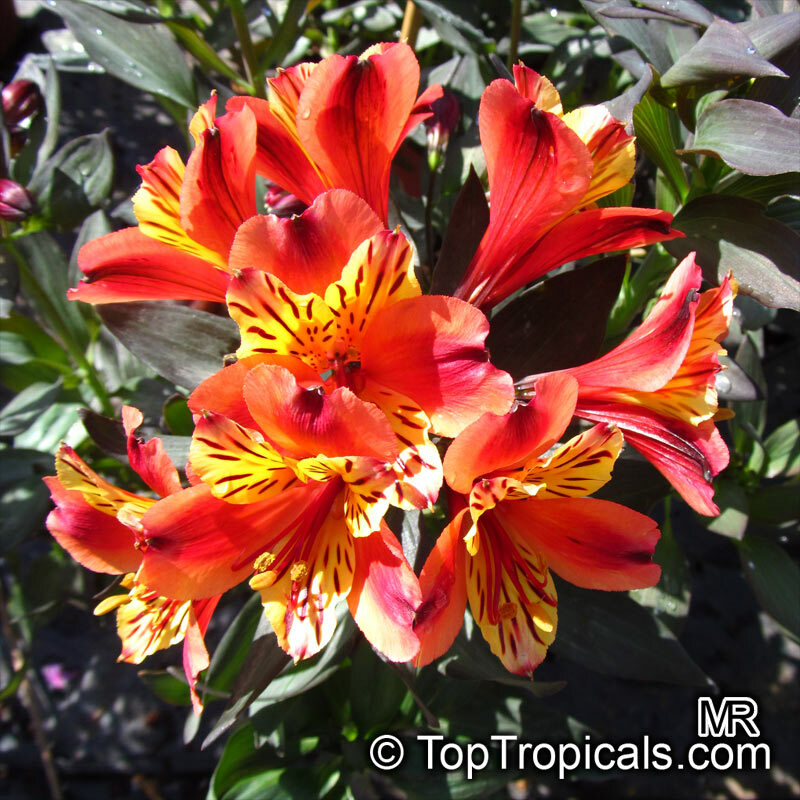 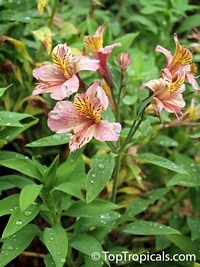 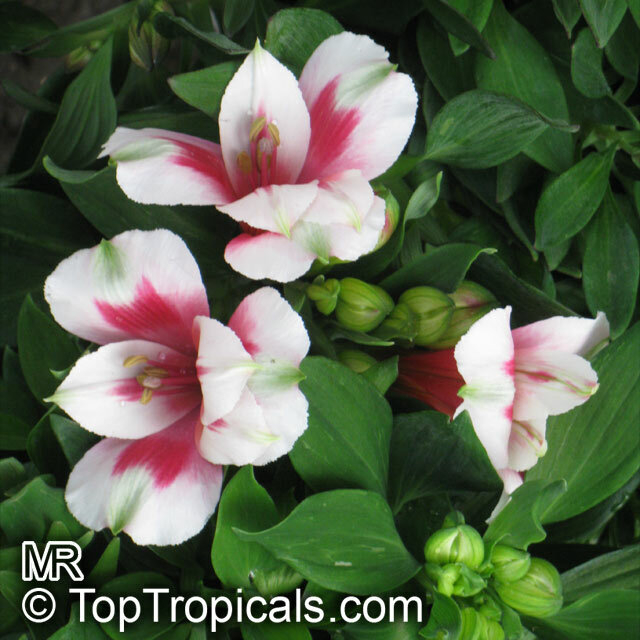 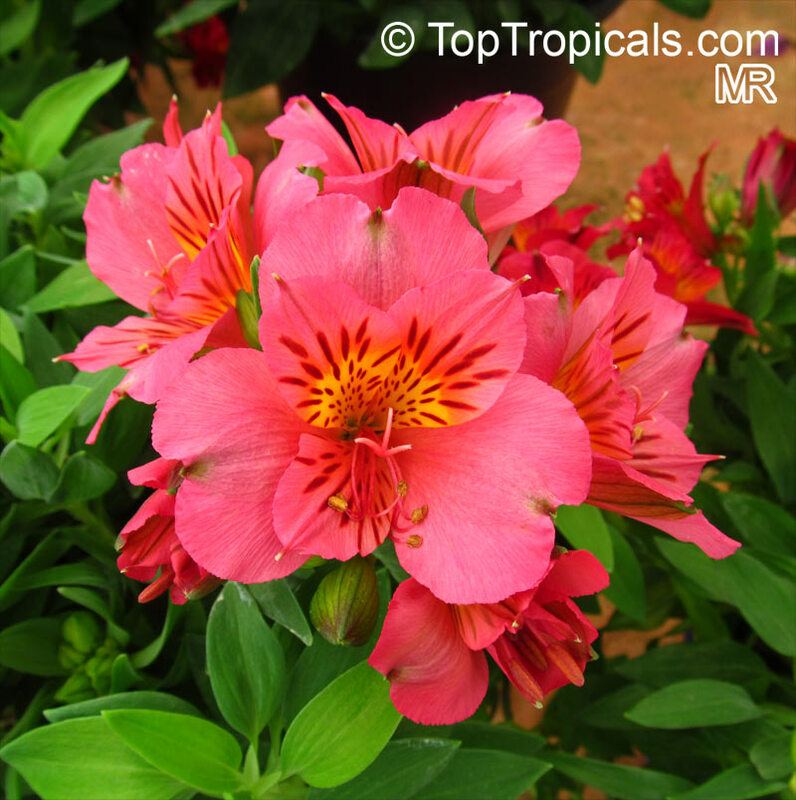 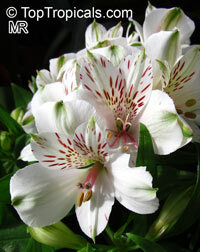 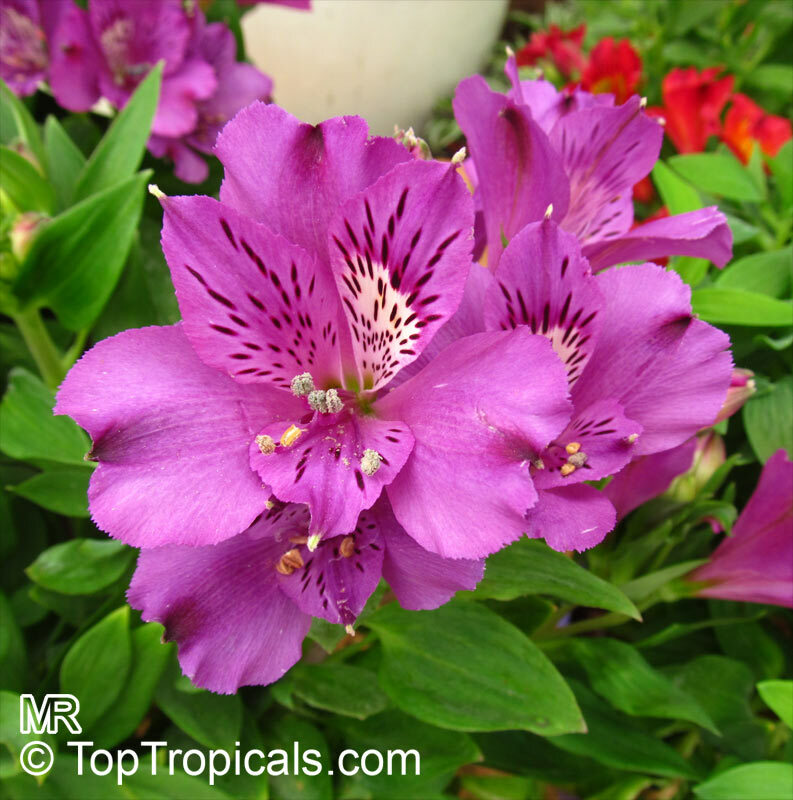 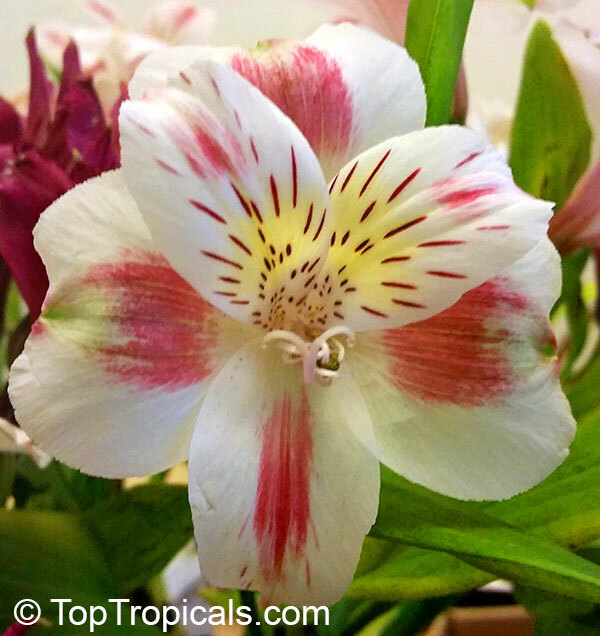 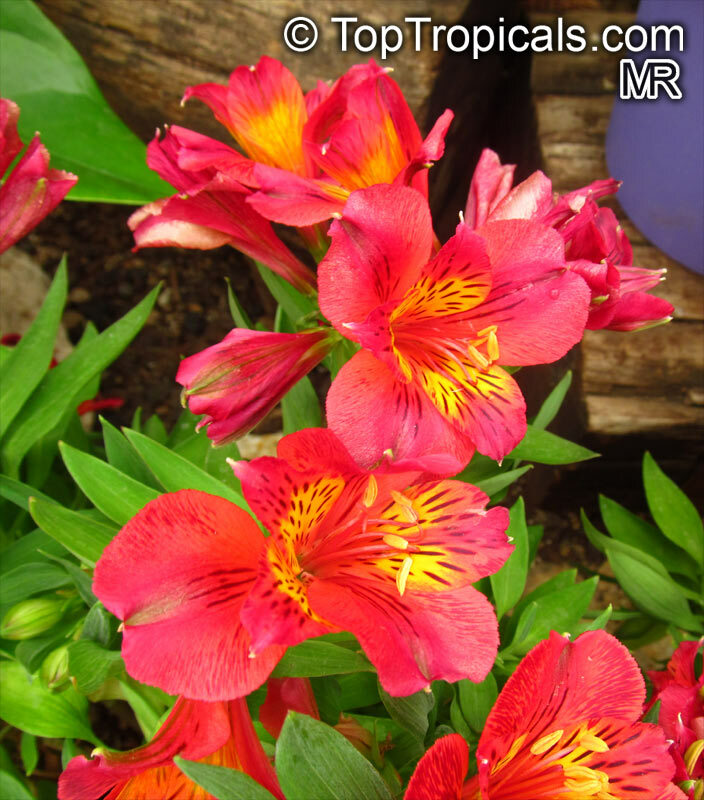 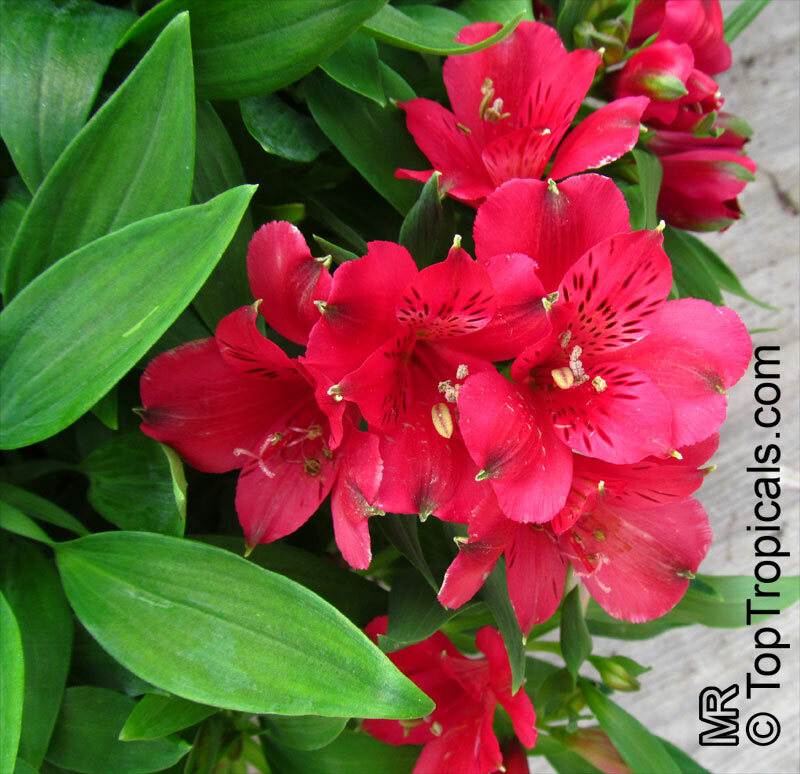 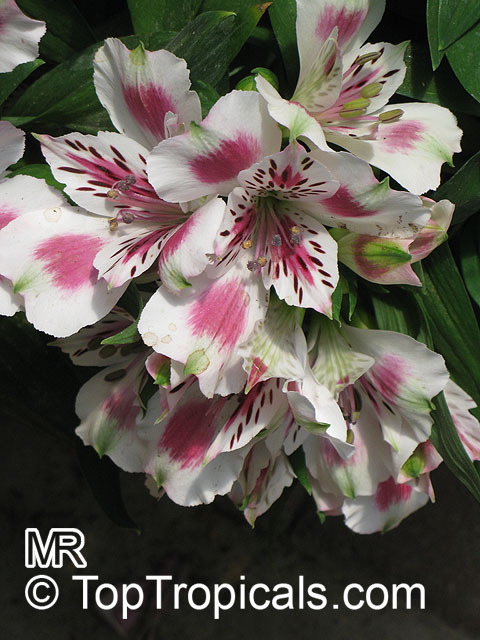 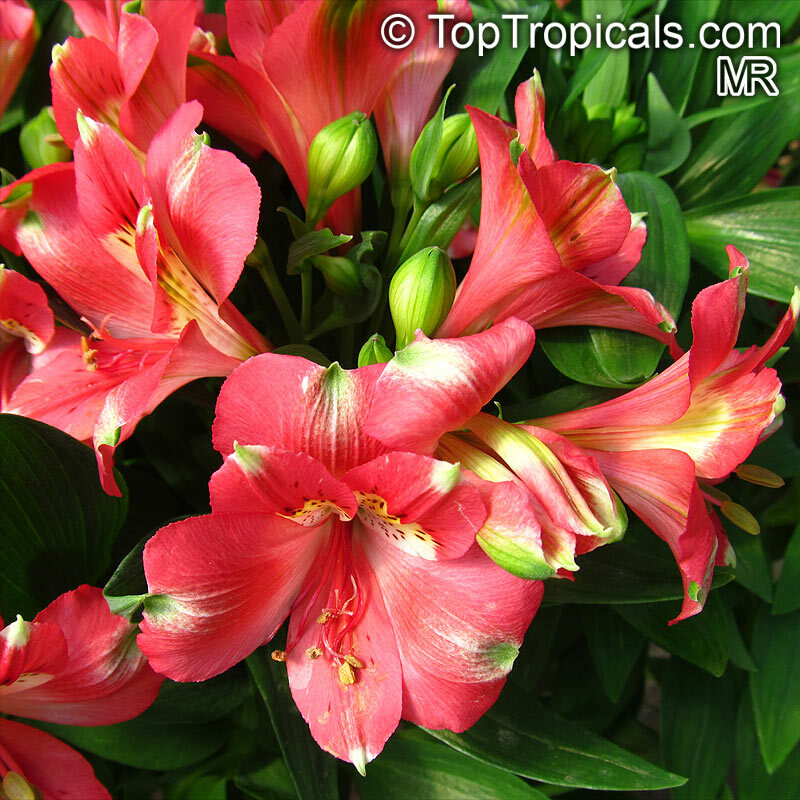 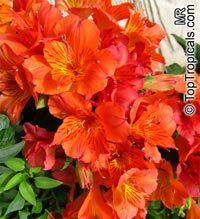 Alstroemeria leaves are 'resupinate' which means they grow upside down, with the leaf twisting as it grows out from the stem so that the bottom faces upwards. 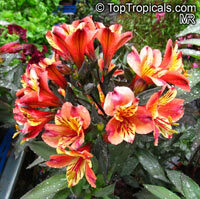 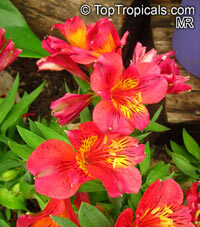 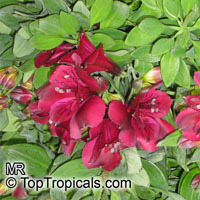 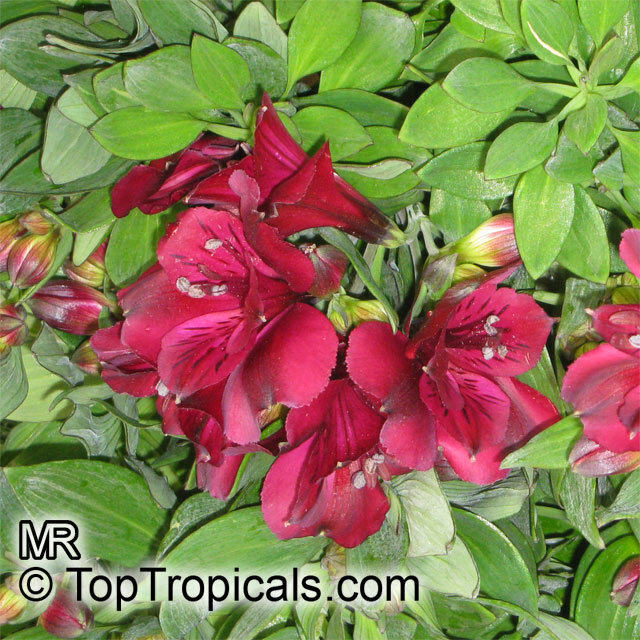 Excellent in garden containers and in flowerbeds and borders. They also make good cut flowers with an exceptionally long vase life. 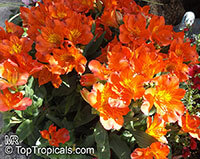 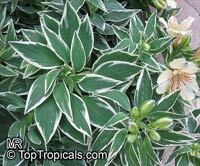 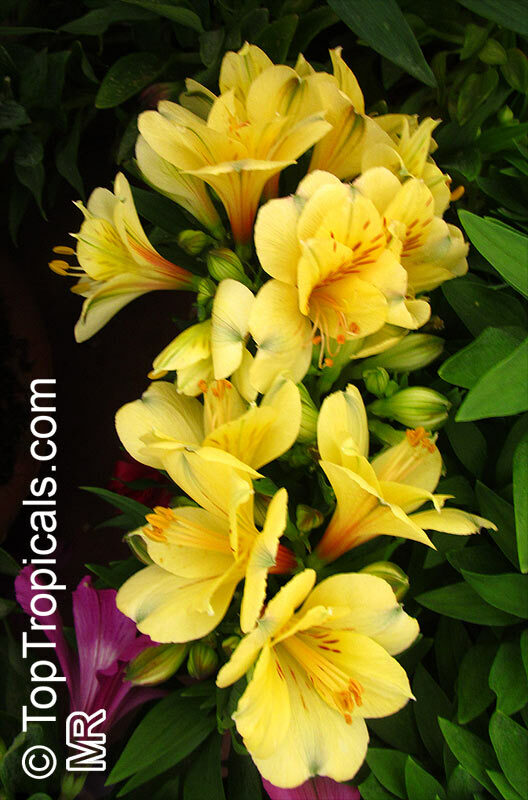 Provide a sunny location in areas with cool summers, but in Florida and other hot summer regions, plant in shade.